Browse through our selection of washing equipment and find the glass, cutlery and dishwashers which best suit your needs here at AllForFood. 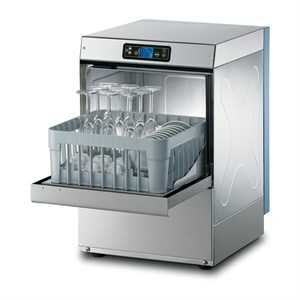 Not only will you find professional glass and dishwashers but also decarbonizers, sterilizers and many other essential appliances which guarantee the hygiene of your bar and restaurant utensils. Save yourself the time and the struggle of hard work thanks to our fantastic glass dryers. 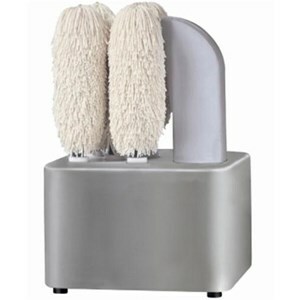 Our range of glass dryers feature special brushes which guarantee shiny glasses, even the hardest to clean such as flutes. Save time and effort thanks to our professional cutlery polishers. AllForFood offers a varierty of countertop and free-standing flatware polishers which guarantee fantastic results for your silver and stainless steel cutlery. Glasswashers are indispensable appliances for all barmen and chefs who wish to guarantee their customers perfectly shiny clean glasses. 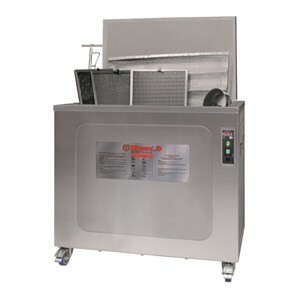 AllForFood offers a vast array of glasswashers for all restaurants and food businesses: choose amongst mechanical and digital versions, with or without drain pump and detergent doser. 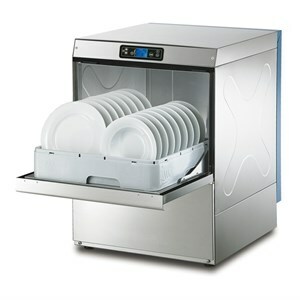 AllForFood pot and pan washers are ideal when you require a versatile and user-friendly appliance. 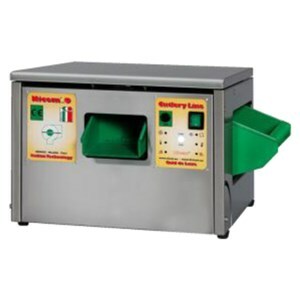 Our pot and pan washers are entirely made of stainless steel and fitted with adjustable detergent doser and rinse agent. 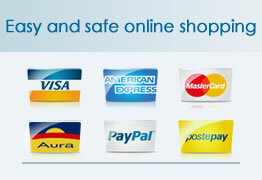 These fantastic appliances wash dishes, trays, cutlery, jugs and odd-shaped utensils. 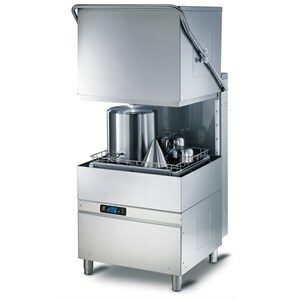 Professional stainless steel dishwashers are indispensable for those who wish to optimize their work in bar and industrial kitchens. Browse through our catalogue and discover our vast array of door-type and front-load dishwashers which will guarantee fantastic results for your entire cookware. 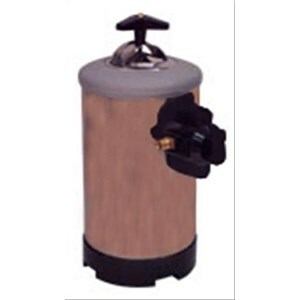 Decarbonizers are particularly recommended for restaurants, hotels, cantines and other food businesses because they considerably reduce the hard work of your staff. Thanks to a special detergent, decarbonizers remove the crust formed by accumulated grease and other carbon residues and which sticks to your pots, filtres, dishes, trays and many other professional kitchen appliances. 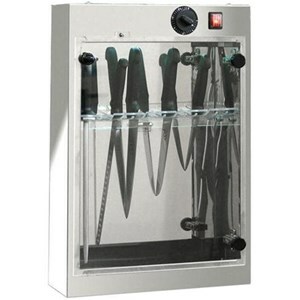 Here at AllForFood you will find a vast range of electric sterilizers designed specifically for eggs, knives and cutlery to offer the highest standards of hygiene for your butcher, deli shop and supermarket, when preparing both raw and cooked meals thanks to a powerful ultraviolet germicidal lamp. 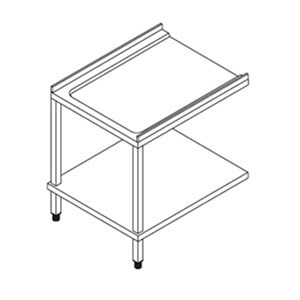 Loading and unloading tables for dishwashers are a perfect solution to optimize time and space in your bar or restaurant kitchen, to sort and prepare your dishwasher racks, etc. 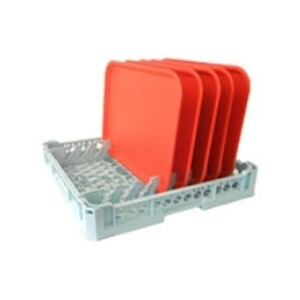 Browse through our catalogue and choose the model which best meets your needs amongst our variety of loading/unloading tables. Our selection includes tables with or without a fitted sink, splashback and waste hole. . Thanks to our dishwasher racks, fitting all your utensils in the dishwasher will no longer be a problem: our racks are designed to save space so that your dishes, glasses and other cookware will slot in just nicely. Choose amongst our selection of multi-slot racks designed for dishes and trays, glasses, cutlery and other odd-shaped utensils. Discover our washing machines specially designed for the needs of the hotel facilities and commercial. 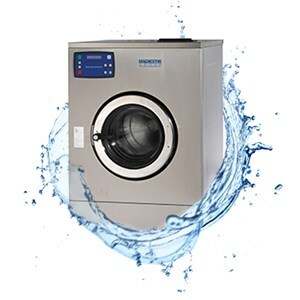 Professional washing machines available with different washing programs, high speed, with stainless steel drum and up to 55 kg capacity. #! mobile # discover our professional washing machines specially designed for the needs of the hotel facilities and commercial. 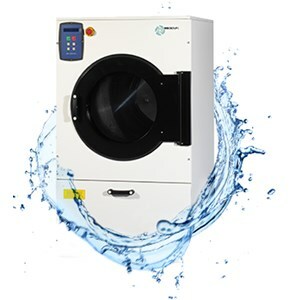 Check out our electric and gas hotel tumble dryers which can load up to 100 kg of garments. They can be installed in all types of venues, even in complex-designed buildings and buildings without exhaust ducting. With our high performance hotel tumble dryers you will achieve fantastic results even on the most delicate of garments.